Many healers, spiritual teachers and lightworkers mention the term ‘energy exchange.’ It is what takes place when a service is rendered from one person to another, from healer to receiver,therapist to patient, teacher to student, guru to devotee, practitioner to client. In the renewed energy of the world today, a balance is coming about between those who have awakened and those who are seeking to awaken. We are all awakening together. Healers are committing to make their livelihood with the gifts of healing and transformation that they can bring to the world, and society is making a course correction in the way we pay for their services. It is a trickle that is likely to become a torrent, and we all need to be ready. Clear communication so that each participant knows the preparation made by the other to be present at the healing. The healer for instance, has taken courses, prepared the healing space with things that have the required energy, spends time before, during and after a session in attentiveness to the receiver. The receiver/patient/student has taken the time to arrive to the place of healing. Each participant in healing feels that the exchange has been fair, and is able to communicate if they feel that it has not. The mode of exchange needs to be in a complementary form. Time for time – honoring time commitments, not being late for an appointment, for instance, or letting the other know if they are likely to be late. Attention for attention: not taking or making phone calls during a session. Money for money: paying for the products and learning of the teacher and healer in one of the simplest forms of energy exchange. When there is distant healing, which many healers offer without money exchange, the healer receives a feedback during the distant healing session; the receiver receives the healing when aware and open to doing so. Nothing is free of energy exchange. If you receive something you always give something back – it can be in the form of money, which allows a clean break after a healing session; or in the form of devotion to a guru or healer which gives its own reward if each is open to that; or a feeling of having got or given a favour, which is not a healing exchange. Money is simple, in that it is exact, is universally calculable, and can be used even by those who are illiterate. However, it is also, as much else in human interaction, loaded with meaning, blocks and emotions. We sometimes forget, those of us who seem to have taken a vow of poverty for the services that we provide, that everything is a gift of the Gods.I am getting a strong feeling that the flow of money is now to come into a healing spirituality. Many of us who were closed to it, are being asked to be open to receiving. In this way, we help people in pain to use their money not for dulling their pain but for working through it to an awakening. Many people today are paralyzed from giving and receiving healing and teaching because they feel a lack of money. Let us explore ways of paying for what we provide each other. Perhaps offering one service for another when money is an issue. As we do this, we learn that there are so many ways in which we can live productive, fulfilling lives. Be open to receive, and open to give. In this healing exchange, there are only wins. 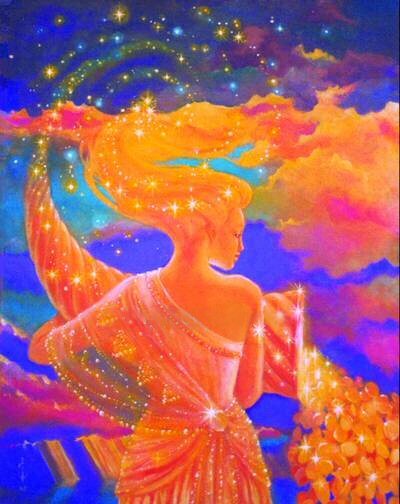 Posted on November 22, 2012 November 22, 2012 by Meenakshi ~ Journey In WholenessPosted in BlogTagged abundantia, exchange, healer, lightworker, money, patient, receiver, spiritual teacher, student. Several types of practices like Yoga, meditation etc we acquire more energy and pass it on to others who require same via several other methods of healing etc. Some people get tired because of this and that is why continuous practice of the methods of acquiring energy is required. Thank you for this perspective, Shanmugan. Science, its few pure practitioners, such as Einstein and Tesla, as well as the myriad of more practical researchers and thinkers have taught us that energy is neither created nor destroyed in the universe. It just is. While the total amount of energy is constant, it changes form as it moves from place to place through the universe. Healing is but one means of moving energy about. With healing, people’s hands are the medium through which the energy moves or is transferred, not unlike electricity (electrons) moving along a wire.